Hi there, I'm so sorry for the wait. 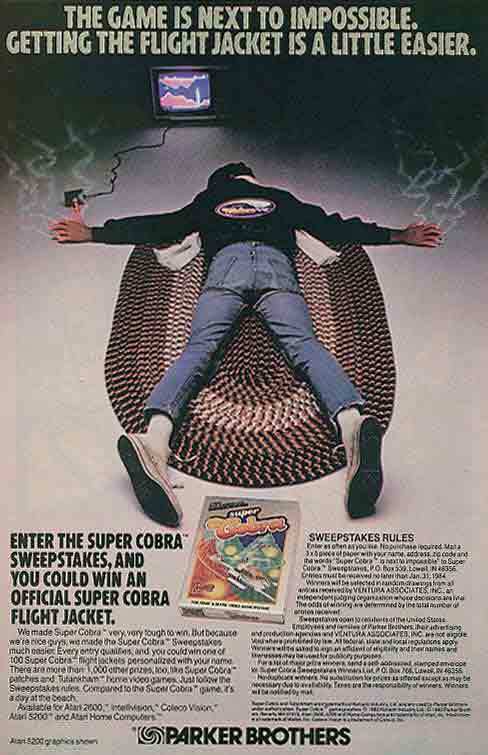 Episode 98 features Super Cobra and Reactor, both arcade ports from Parker Brothers. On May 6th I'll be looking at Realsports Football and Atari Video Cube by Atari. The contest that Greg from the SNES Podcast is sponsoring will be extended to May 5th at 11:59 PM EST. You can win a 20 dollar gift certificate to the Atari Age store, and all you have to do is tell me your favorite homebrew game for the 2600, either at 2600gamebygame@comcast.net, or on the pinned Facebook post. Thanks Greg! Episode 100 will be Pitfall by Activision. Upcoming episodes will include Shootin' Gallery and Riddle of the Sphinx by Imagic; Vanguard and Phoenix by Atari, and Oystron, INV, and Mondo Pong, all homebrews by Piero Cavina. If you have any thoughts on these games or any games I've already covered, please send them to me at 2600gamebygame@comcast.net. Thank you for listening! The No Swear Gamer 132 - Reactor! Episode 97 - Tax Avoiders and Boing! I hope you all had a wonderful Passover/Easter/Spring Break! It's time to get back into the games, and today we're looking at Tax Avoiders (Happy Tax Day too!) by American Videogame and Boing! by First Star Software. Both are the lone releases for the 2600 of their respective companies. Greg from the SNES Podcast is sponsoring a contest on my show! He is giving away a $20 gift certificate to the Atari Age Store. All you have to do is tell me your favorite homebrew Atari 2600 game in order to be entered in the contest. I will draw one winner at random on April 28th at 11:59 PM EST. Send your entries to 2600gamebygame@comcast.net or check Facebook for the pinned post. Thank you Greg! Next week I'll be looking at Super Cobra and Reactor by Parker Brothers. In the upcoming weeks we'll have Realsports Football and Atari Video Cube by Atari; Pitfall by Activision; Shootin' Gallery and Riddle of the Sphinx by Imagic; Vanguard and Phoenix by Atari, and Oystron, INV, and Mondo Pong, all homebrews by Piero Cavina. If you have any thoughts on these games or any games I've already covered, please send them to me at 2600gamebygame@comcast.net. Thank you for listening! Tax Avoiders haunts Retro Obscura! Hi folks, sorry for the delay. My Libsyn account is now free from hackers thank goodness. Well, maybe not, as this is a sportsball episode. Realsportses Volleyball and Soccer (better known as Football), to be exact. Next week I'll be taking off due to the holiday and family time, but I will return on the 15th with Tax Avoiders by American Videogame and Boing! by First Star Software. Coming up will be Super Cobra and Reactor by Parker Brothers; RealSports Football and Atari Video Cube by Atari; and episode 100 will be on Pitfall by Activision. If you have any thoughts on any of these games or any I've already covered, please send them to me at 2600gamebygame@comcast.net. Thanks for listening, see you next Wednesday! 41 - Chocolate Chip Cookies! Join Bob the Baker for some history about the amazing chocolate chip cookie, then listen in as he bakes some that you can't have. Later Bob is joined by Miss Sarah as they try several brands of chocolate chip cookies to determine which is the best. Get yourself a glass of milk and thanks for listening! All glories to @drquest.